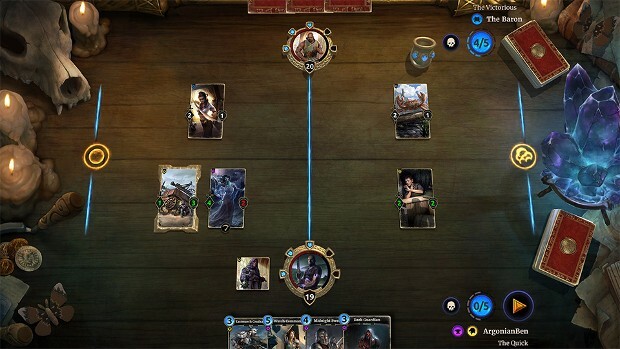 During its E3 conference, developer Bethesda Softworks announced that its free-to-play card game Elder Scrolls Legends will be making its way to Nintendo Switch, Xbox One, and PlayStation 4 later on this year. This news followed an announcement from Community Manager Christian van Hoose that a visual overhaul was in the works for the game. While no date for the console release was announced during the presentation, van Hoose did encourage players to download the game on mobile or PC as they will be able to transfer their save data to consoles through their Bethesda account. So, everyone can get play time in while they wait for it to hit their favorite platform.